Surprise! Islamophobic commenters get it wrong. Two organizations can disagree about something without it being a culture war, you weirdos. It’s been said that good fences make good neighbours. 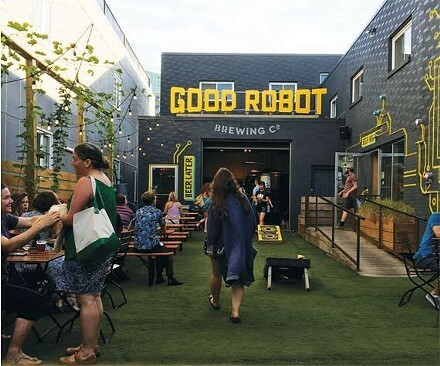 But the wooden fence around the beer garden at Good Robot Brewing Company hasn’t stopped the next-door Islamic centre from taking issue with its noisy goings-on. Despite “amicably” trying to work out the problem amongst themselves, the news has made the Centre for Islamic Development on Robie Street into a target for Islamophobic and xenophobic comments. 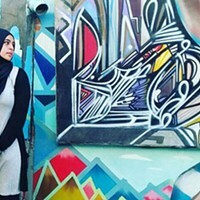 Recent news coverage of the situation has caught the attention of folks on social media, some of whom have used the excuse of defending Good Robot to spread Islamophobia. “Wake up people, they are not here to coexist, they are here to impose their cult on us,” reads one typical post sharing the story in an anti-Islamic New Brunswick news group. “The problem here is not a religious problem, it’s a bylaw problem,” says Zia Khan, the director at the Centre for Islamic Development. The centre filed a formal complaint against the bar-brewery hybrid at the end of September. Khan says everything from loud music to vomit in the doorways has been disturbing the place of worship for the last year. In his opinion, the current Good Robot location doesn’t make sense—“I wouldn’t go and open a mosque downtown,” he says—but those arguments are being drowned out by ignorance. Josh Counsil, one of Good Robot’s three founders, also feels the hateful comments have derailed the issue. He points out that the brewery has been receiving “quiet support” from more reasonable folks. The Good Robot Facebook statement also says the company doesn’t believe the Islamic Centre’s complaint is reflective of its practices. 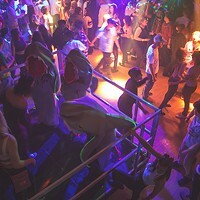 “This isn’t a nightclub with dollar shots,” says Counsil. He added that they’ve only had to ban two people from the premises, and he has seen only one instance of customers puking in the last year, which was cleaned up by staff. At the same time, he admits that noise could be a problem. Both Khan and Counsil confirm they have plans to meet in person this weekend about the issue. Despite Khan’s qualms about Good Robot’s location, he emphasizes that he doesn’t want anyone to lose their job. “They are nice people. They’re very nice guys,” he says. Counsil agrees that the interactions between the two have been “very amicable to date.” The co-founders have put together a list of plans that may help rapport in the future, including installing a bike rack on the sidewalk. Aside from the obvious use, he says it would also prevent delivery truck’s from pulling up on the centre’s lawn. “Our stance up to this point has just been to run outside and scream at them,” he says. “But there’s not a ‘no parking’ sign, and nor can we install one.” For Khan, the best-case scenario would be for the fence to come down, and for all the music and drinking to take place inside the bar. This isn’t the first time a Halifax-based story has prompted racist backlash. 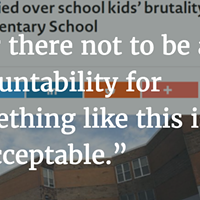 An article published by The Chronicle Herald in April framed Syrian children as violent schoolyard bullies. It was based on claims from two parents, who claimed their kids were being threatened by students who had recently arrived with refugee families. The article was eventually pulled and apologized for, but not before gaining national attention from anti-Muslim and white nationalist groups. 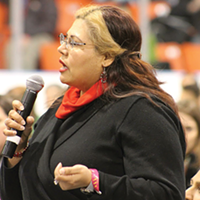 Halifax activist has tips for how to hold those responsible accountable. Controversial dress code policies are part of efforts to rebrand the infamous downtown nightclub, but critics call them nothing short of racial profiling. Both parties plan to have regular meetings in the future. Why the value of an inclusive world is far greater than the cost of achieving it. 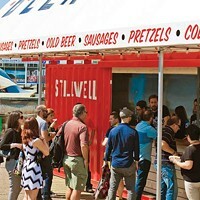 Looking back at the year’s biggest food and drink news—the Stillwell Beergarden—and other highlights.